Call the police immediately. They will report it for you. If they cannot file the report, you will need to. To file an accident report, complete a Wisconsin Driver Report or Accident Form. The following information will assist you in handling a claim with your insurance company. Yes, as the vehicle owner you decide where, when and how that vehicle is repaired. Yes. Insurance policies require that you notify the company or your agent as soon as possible after an accident. If your vehicle is not safe to drive, simply have it towed to the repair shop of your choice. When you notify your insurance company about the incident, tell them that the vehicle is not drivable and where it may be inspected. Occasionally, the repair shop’s estimate differs from the insurance adjuster’s estimate. You may want to negotiate an agreement with the insurance company under which they may pay less than the full amount of the repair costs and you assume responsibility for paying the difference. If you and your insurance company can’t agree on a fair settlement of your claim, most insurance policies provide for an appraisal process. When you and your insurance company fail to agree, either party may demand an appraisal of loss within 60 days after the claim has been filed. Each party may then select a competent appraiser to represent them, and the two appraisers will select a disinterested umpire. If the two appraisers do not agree, they submit their findings to an umpire. The umpire’s decision sets the amount the insurance company must pay. You are. The vehicle owner must arrange for payment of the repair bill. Insurance policies state that the insurer will reimburse you for the cost of repairs less any deductible or depreciation. You can instruct your insurance company to pay the repair shop directly, but make sure that the payment is in the hands of the repair shop when you pick up your car. The repair facility. 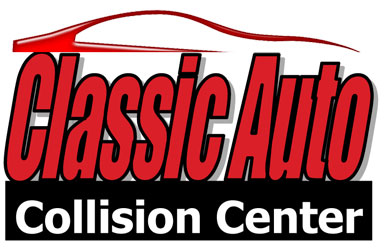 It is important for you to select a repair shop with properly trained technicians and the equipment necessary to restore your vehicle to its pre-accident condition. In the event that you have questions or concerns regarding your repair, contact the repair facility first. If you don’t receive satisfaction, you may wish to contact your insurance company’s claims manager. You have the right to contact the Wisconsin Insurance Commissioner’s office, the agency charged with regulating and disciplining the insurance industry. The Commissioner’s Office cannot by itself resolve damage, coverage or liability disputes, but it can obtain written explanations from insurance companies regarding their positions. Having a written explanation may be useful to you if you have to resort to litigation to resolve a dispute with an insurance company. The insurer is required, by law, to notify the insured if “non-original manufacturer replacement parts” (aftermarket) are intended to be used in the repair of the vehicle. Notice shall be in writing but a verbal statement is allowed if it is followed by a written notice within three days. Some terms that identify “non-original manufacturer replacement parts” are A/M, aftermarket, quality replacement part, QRP, CAPA, PXN (Parts Exchange New), competitive part and economy part. Aftermarket parts are not manufactured or warranted by the manufacturer of your vehicle.